While running errands with my middle daughter, I asked her if she wanted to get ice cream. (Of course, this is an unnecessary question to pose aloud. What nine-year-old will say no to ice cream?) 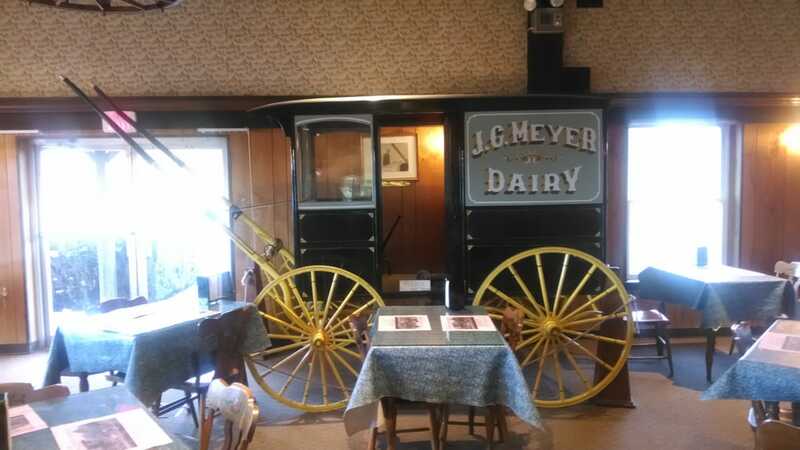 We drove to our local dairy, an establishment that's known for its half gallons of milk in glass bottles, historic dairy wagon, and five different prints of wallpaper spanning different walls. We ordered our favorites: whitehouse cherry vanilla for her, and mint chocolate chip for me. We chatted as we ate, tossed our napkins and place mats after we finished, drove home, and pulled into our garage where I habitually reached toward the passenger seat to grab my purse, only to realize that the seat was empty. No purse. I quickly replayed the most recent events: paying the cashier at the dairy in cash (no credit cards are accepted), returning my wallet to my purse, hanging the purse on the back of my chair, draping my jacket over my purse, eating our ice cream, throwing away our trash, grabbing my jacket, and exiting -- without my purse, which must still be hanging on the back of the chair. I tried to make the 10-minute drive back to the dairy faster than 10 minutes. For once, there was was cash in my purse; I had gone to the bank that day! I thought about everything I didn't want to lose: my credit card, my driver's license, a few gift cards from Christmas, my sunglasses, my cell phone. I raced into the dairy -- my obvious haste in stark contrast with the slow-as-molasses tempo of the workers who scooped and served and the customers who chatted as they waited in line or sat in the dining area. And there sat my purse, twenty-some minutes after I had abandoned it -- right in the middle of everyone, right at my table, right on the back of my chair. Untouched, unharmed, very much unbothered, like it was patiently waiting for my return under the watchful eye of a dozen or so ice-cream eaters. Yes, It's good to live in a small town where lost dogs become conversation pieces and lost purses are found by their owners.